Our Dodge Chrysler Jeep RAM car dealership is stocked with all of the latest vehicles. We know people in Shreveport deserve the best, and we hope you’ll give us the chance to provide you with it. For folks living in the Shreveport area, we can assist you in finding the right new or used vehicle to meet your needs right from our online site. For daily errands or long road trips, Interstate Dodge Chrysler Jeep Ram FIAT is sure to have something in stock to meet your goals. Are you shopping around Louisiana for a used vehicle? 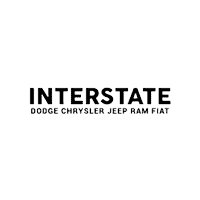 Interstate Dodge Chrysler Jeep Ram FIAT is the only place you’ll need to visit. With a huge selection of low-priced, high-quality vehicles, we are certain that we can locate a pre-owned car that suits your tastes. Everyone should be able to afford a vehicle that fits their needs, and Interstate Dodge Chrysler Jeep Ram FIAT is ready to assist. Our secure finance application form can help get you started in getting your car loan. We look forward to working with you and getting you the best deal! If you want to keep your Dodge Chrysler Jeep RAM vehicle running in great condition and live near Shreveport Louisiana then please consider bringing it by Interstate Dodge Chrysler Jeep Ram FIAT’s repair center. Folks living in and around Shreveport can also buy from us the certified parts they need to keep their vehicle in the best possible condition. Set up a service appointment today. Shreveport is a beautiful and iconic city located in the lower part of the state of Louisiana, nestled along the Red River. Founded as a city in 1836, the are became known as an iconic spot found in the center of what is known as the Ark-La-Tex region, which is the area where Texas, Arkansas, and Louisiana meet. Shreveport has become synonymous in the recent years with film making, referred to as the “Hollywood South”. Some of the films include Year One with Michael Cera, W. with Josh Brolin, and Olympus Has Fallen with Morgan Freeman. Shreveport has a variety of useful sites and locations for residents to take advantage of.